February is upon us - how did that happen? January was a big, busy blur filled with events and programs that kicked off 2015 with a bang. We hosted our 77th Annual Dinner on January 15th, honoring the men and women who have made an indelible impact on our community. Fred Davis received our first ever Legacy Award for the decades he dedicated to the City and our community. 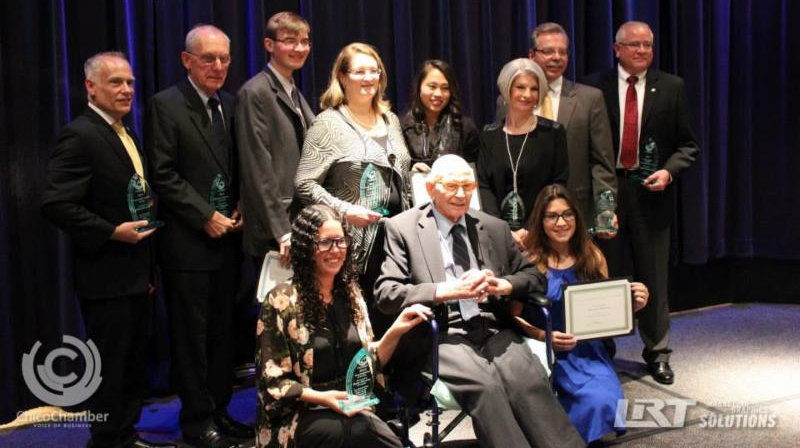 Mayor Mark Sorensen received our J. Pat Lappin Award, Audrey Taylor received our Jeanne Posey Award, Scott Gruendl was our 2014 Community Service Award recipient, and BT Chapman was chosen as our Business Advocate of the Year. Mark Francis was recognized with our Chairman's Award, Anne Johnson was our 2014 Ambassador of the Year and Danie Schwartz was recognized as our Young Professional of the Year. It was an honor to acknowledge these recipients for their tireless efforts to make Chico the dynamic community it is. Our Business Summit & State of the City Address provided us with a positive outlook for the year. The Mayor decreased the projected 10-year recovery timeline for the City saying that we will see technological improvements and incremental staffing growth this year. Mark Francis, our new Chairman, shared the Chico Economic Index demonstrating higher notes of optimism in all economic indicators. While the economic forecast even a year ago looked "cloudy with a chance of sunshine," I think we're looking at "sunny with a chance of clouds" for 2015. While that's our local economic outlook, I sure wish our real forecast would predict unending rain and snow for several weeks. Then we'd really have a lot to celebrate. Have a great month!